It had been ages since I hit the saddle of a bike and here we were on a mountainous island of more than 100 square Km with no bitumen roads or motor vehicles, with bicycles being the only means of transport other than walking, of course, and a perfect place to spend the day on the saddle. The only way to get to this Island National Park is via a 30 min ferry ride from Triabunna. After a pit stop to hire bikes, find out the tide timings from the information centre and head straight to the painted cliffs. Arriving here later may leave you stranded or drenched with rising tide. A long stretch of rocks with symmetrical colourful bands formed from iron-oxide. A 4.5 Km long circuit that takes around an hour and a half by bike offers some of the best views. The fossil cliffs have indeed frozen time with a varied range of embedded remnants of animals and plants from almost 300,000 years ago! Historical buildings and ruins of the bygone convict and industrial era hold on to the dark and rich history of the island. You can’t not have fun going downhill! Know all about the ferry service on their official website. 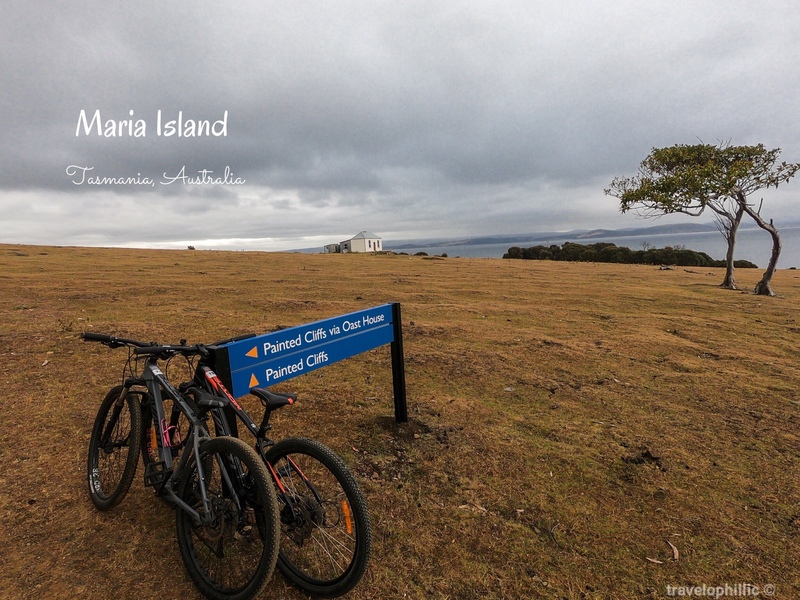 There’s a lot more to know about Maria Island on their official website. You can start planning your visit to the island with this article that I found very useful. There’s no food available on the island so pack-up before your departure. Be all-weather ready, it was raining when we got there, freezing after a while and got warm later.